Tribal Belly dance was first taught by Myra Fallon at Belly Dance Arabesque, and was inspired by the original videos that fcbd released. The first ATS® performers in Adelaide were Kylea Hartley and Acushla Mkrtschjan who formed their duet known as “Gypsy Sagaat”. Kylea started teaching ATS® and formed the “Tribe Vibe” troupe (now known as Tribe Vibe Dance). 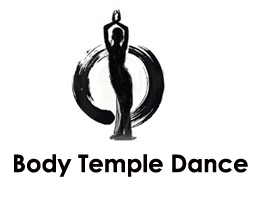 Acushla also began teaching and formed Sacred Tribe (now known as Body Temple Dance Company). From there many offshoots sprouted! Lilly Sim started tribal as a student with Kylea, then started teaching tribal at Ahlam Belly Dance Centre, and has now formed “Nymphaea belly dance”. Cathy Phillips trained with both Kylea and Acushla and has now branched off to form “Flourish Tribal”. Evangeline Feary started as a student with Acushla, began teaching, and then moved on to form the ATS troupe “Ruby Dhatura”. In the Adelaide hills “Saffron Tribal” was formed with main members being Violet, Kasha (who started her own school Tribal Rose) Rebecca and Tricia. Saffron is still going strong with Rebecca now offering regular classes. Myra Fallon is now principle of Belly Dance Amethyst and teaches tribal along with Solange, who is currently troupe director of “Babylonia”. Further north of Adelaide, Mirahmar taught at Henna Nights and formed “Arati Tribal belly dance”. Meanwhile tribal continued being taught at Bellydance Arabesque, where Regan Gardner is now principle of the school and directs the ATS® troupe “Tribe Arabesque”. Many of the Adelaide tribal teachers have had a foundation of ATS® some of whom are fcbd teacher certified. Several teachers also specialise in teaching tribal fusion as well as ITS.